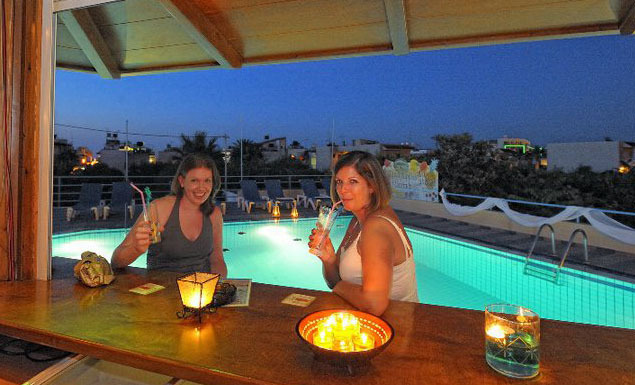 Filia Hotel in Stalis Crete welcomes you! The hotel features 52 studios and apartments, divided over 4 buildings with 2 floors. 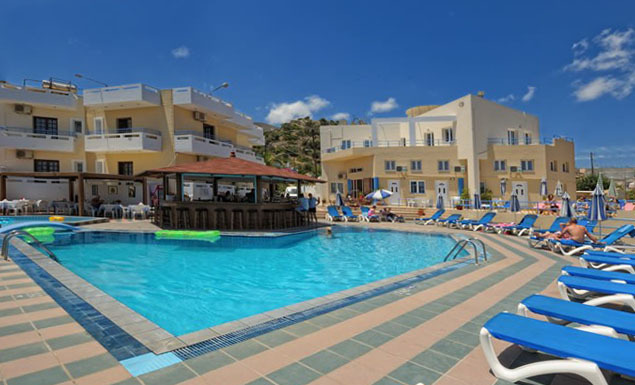 Two bars, two swimming pools, a children's pool and poolside snack bar cater for endless fun in the sun and relaxing hours by the pool. 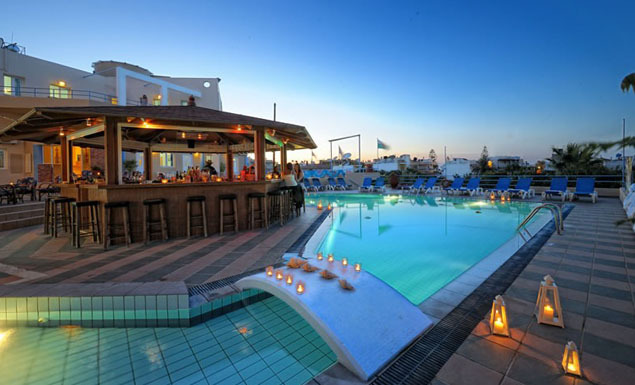 "Welcome to the Filia Hotel where you can enjoy a relaxing break, soak up the warm Mediterranean sun and enjoy Greek and Cretan culture and cuisine. Let us cater to your every need: We are always happy to help you with information about the Filia hotel, about booking your stay with us, or about Stalis and its surrounding area with its many attractions. We wish you a great holiday!"